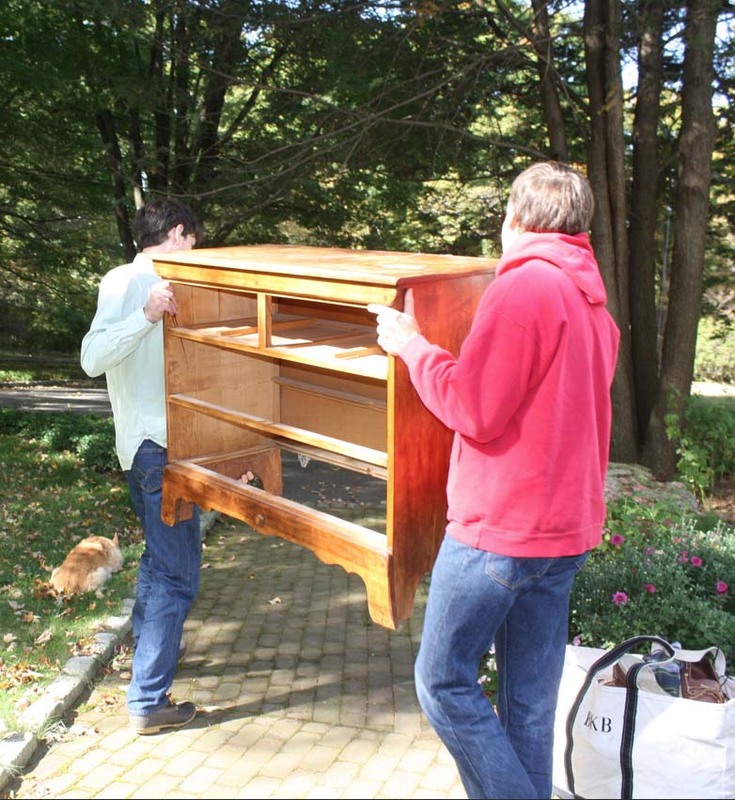 It was bad enough emptying the drawers of his antique bureau when he went off to college. In a fog of reminiscence I bagged his old Cub Scout necktie; a clip-on bow tie; a handful of yellow BBs for his air gun; several single socks; a beanie from Africa; never-used heat bulbs from our long-deceased Bearded Dragon Lizard; and a T-shirt with the date of a spring concert in middle school. On top of the bureau were more objects of our son's boyhood: pieces of rope, tiny hand-painted mythic Warhammer characters, a pocketsize telescope and an old worn red boat sneaker that was once as long in length as our son was in years. Amidst the books of shipwrecks, dinosaurs and comics was a stack of treasured National Geographics and a sketchpad full of bomber jets in scrawl-y pencil. The ephemera, a showcase of a young boy's passions, was left untouched when he went to college, hoping it would give a sense of home when he returned on holiday breaks. I knew that one day our son would leave for college, but that always seemed so far away --especially on afternoons of logging 40+ miles to music lessons, the orthodontist and sports. As my husband and I dashed around in opposite directions one particularly busy Saturday, he said, "One day it will be quiet around here. A little more time for us." Four years later, our son's room was empty and "magazine neat," as if staged for a home decorating spread. The youthful memorabilia made of plastic, rubber and popsicle sticks on top of the bureau cast shadows in that crisp Back-to-School light that is uniquely September. Stuffed animals, long-moved to the bookshelves, were lined up to keep watch of the silence. Whenever I peaked in to the room from the hallway, I saw shadows of my son's youth -- and of my own youth as a young mother. I imagined our son sitting at his desk reading. I stared at his World War II posters, collection of Patrick O'Brian books and a framed spy code. For the first few days, I smelled my son's pillow. (I discovered I'm not the only parent who does this after their children go to college.) I looked at his captain's bed pushed against the wall under an eave, and remained in awe that my son never hit his head, especially when he was a lanky teenager. The empty bureau, too, was a remnant of days past. After 17 years of the whirlwind child raising, my husband and I were empty nesters. Our pets became our new babies. We coddled and spoiled them. There was a strange ridiculousness when Willis (the 14-year old Corgi) was asked whether he had any reports due next week. Augie (the 16-year old Tabby) was reminded to charge his cell phone. Unlike our teenage son, our pets lapped up the attention and never tired of hugs and kisses. Their mutual adoration for my husband and me was heart-warming. As we ate dinner, the dog saddled up against my leg and stared up with adulation. The cat had a similar frozen and longing gaze. If he could speak, we were sure he would say, "I love you so much... now feed me." Our son's eight semesters at college went by in a millisecond. After graduation, my husband and I were thrilled the day he landed a "grown up job" in Manhattan. We were double-thrilled when he moved back home to reclaim his room. Once again, the bureau was re-stuffed with clothing. Socks and boxer shorts bulged out of the drawers. Our son had learned a lot in college. Neatness remained elusive, even with a fancy degree. Mom and Dad suited up as advisors as he commuted an hour into the city and made the transition from college life (work hard/play harder) to real life (work/work/work/some play). Within a month, our son announced that he had found an apartment and three guys to share the rent. A house-wide hunt began to gather extra sheets, towels, kitchen equipment and old pots to set up his new digs. And though an exciting new era had begun for our son, my momentary exhilaration came to a crash in the most unexpected of circumstances when he and my husband grabbed an end of the beloved bureau, carried it down the stairs and out the front door. "I think I'll miss Willis and Augie most of all," our son said as he looked back at the house in which he had grown up. I half-heartedly hoped he was going to say he would miss me more than our family pets. "You're only an hour train-ride away from a home-cooked meal," I assured him as I gave a last hug. When my husband and son drove down the driveway, I stared at the bureau, wrapped in a blanket, tied with twine and secured on top of the family station wagon. I waved them all goodbye with love and good wishes. No tears. When they vanished down the hill and merged with the traffic, I walked back to the house, up the stairs and stood in my son's bedroom. As I looked around, my heart literally sank. The spot taken up by his childhood bureau was now empty. There was a new stark reality. While our son had left home to go away to college four years ago, moving to his own apartment was really leaving home. As our son lived his new urbane life, I missed knowing he was snuggled in his bed when he was little. I missed him on snow days and serving hot chocolate in his snowman mug. I missed the way he recounted his dreams the next morning. I longed to see him on another summer day and watch a lemon ice pop drip down his arm. I wanted to hear him splashing in the tub at bath time. I wanted him back in my belly. I wanted him to need me like when he was young ... and so was I. After a few months, for sanity and wellbeing, I knew that I needed to give our son's bedroom a makeover. While many keep their children's rooms as shrines to the past, I had to move forward. The blue madras bedspread of his boyhood was replaced with a stark white quilt topped with chic orange, white and lime pillows. Blue ticking curtains with sailing ships gave way to sleek white roller shades. The classic French Provençal desk on which our son had studied and built car models was replaced with a simple glass desk atop two iron stands. A Mies van der Rohe-style chair now graced the space of the bureau that had gone from my husband's bachelor pad in Boston, to a baby's nursery in Pound Ridge, to a young professional's apartment in Manhattan. I checked email often to see if our son wanted to come home for the weekend, and even tried to lure him by mentioning that we'd have his favorite recipe, Chicken Rockefeller, for dinner. "Hey, remember me?" my husband asked as he poked his head into my new office/writing studio/reading room. "Yes, I do remember you." I turned towards the guy I had fallen in love with 24 years ago. "Have a seat." I gestured towards the new chair where the bureau once was. Sunlight streamed through a crystal teardrop hanging in the window and cast a brilliant rainbow on the wall. It was a new beginning for my husband and me, our son... and the well-traveled bureau. In the same way that volunteering at your child's school makes you part of a community and helps you make friends with fellow parents, volunteering at your local library, homeless shelter, or with a civic group will immerse you in a new community that includes neighbors and empty nesters.